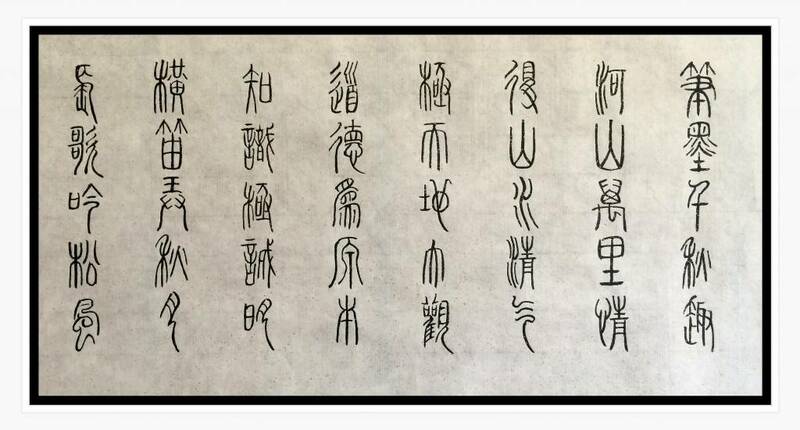 Chinese calligraphy is a beautiful and powerful art. It is a national treasure – a window into China’s rich and illustrious past. Reasons for studying it are as unique as the people who do. Some learn calligraphy simply as a way to broaden their cultural horizon and add art to their life experience. Scholars researching China’s history find calligraphy to be an essential piece in general. I have found calligraphy to be a timeless passion. It has enriched my life, bringing peace in times of trouble and contentment in times of joy. Whatever your particular reason is for visiting this site, I hope your interest blossoms into an enhanced appreciation for the art of Chinese calligraphy. In shape, Seal Style is rectangular. Because a knife was used to carve the characters into the stone, the lines are simple and of equal width. Seal Style became popular for seal engravings and is still used today for that purpose. 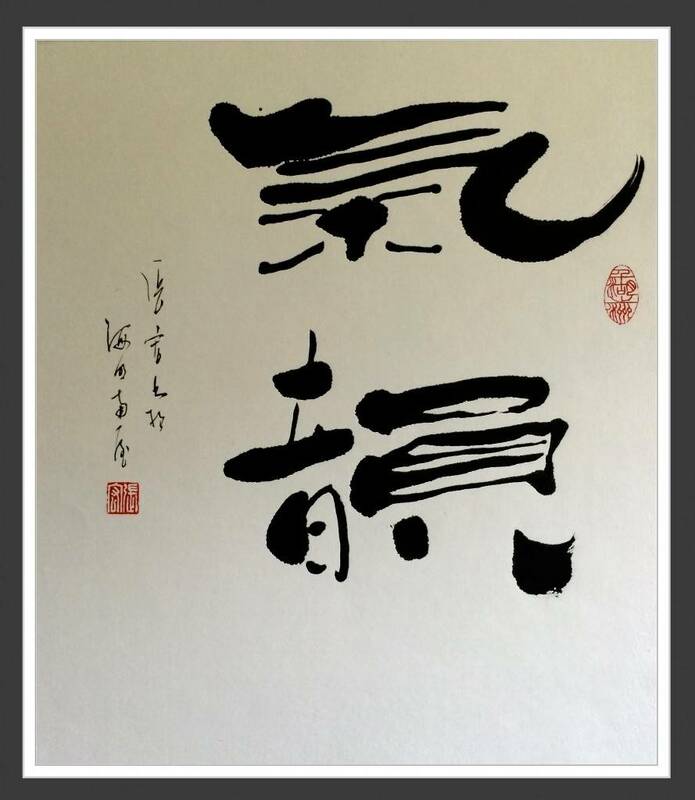 Click here to see more examples of Hong’s Seal style calligraphy. The development of Official Style that brought calligraphy as an art to new heights. Many famous calligraphers learned Official Style first. In style it is more horizontal than Seal style. Its strokes reach both to the left and right. Official Style is a practical style that is used today in writing titles to documents or for congratulatory greetings. 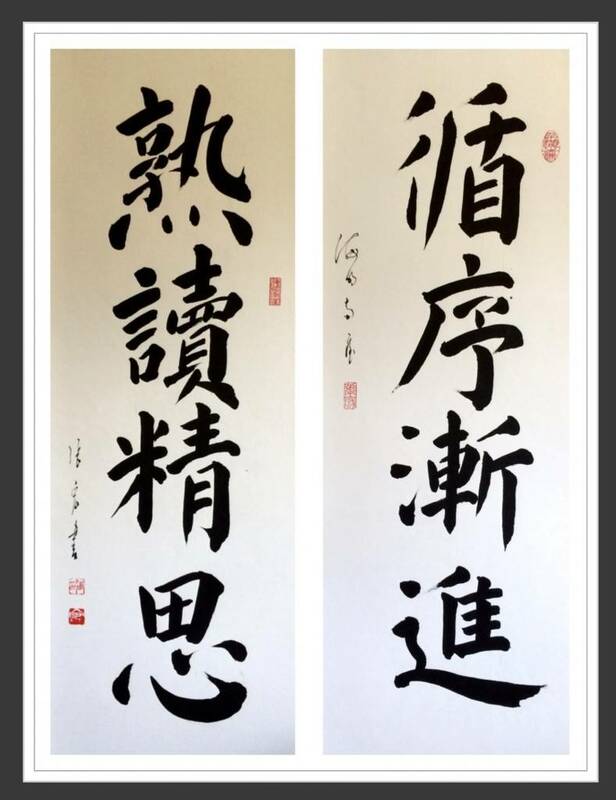 Click here to see more examples of Hong’s Official Style calligraphy. Regular Style emerged during the 3rd century c.e. It is also known as Tang Kai because there were many Kai Shu masters in the Tang Dynasty (960 c.e.) This is a “standard” or “formal” style. It is also called “zhen shu” which means precise and neat. Its strokes are angular and sharp with each character square in composition. The rules for writing Regular Style are more strict than other styles. Click here to see more examples of Hong’s Regular Style calligraphy. Running Style is between Regular and Casual Styles. It is much easier to recognize than Casual Style and is faster to write than Regular Style. Strokes within one character can be connected to each other. It is a useful style in daily life. 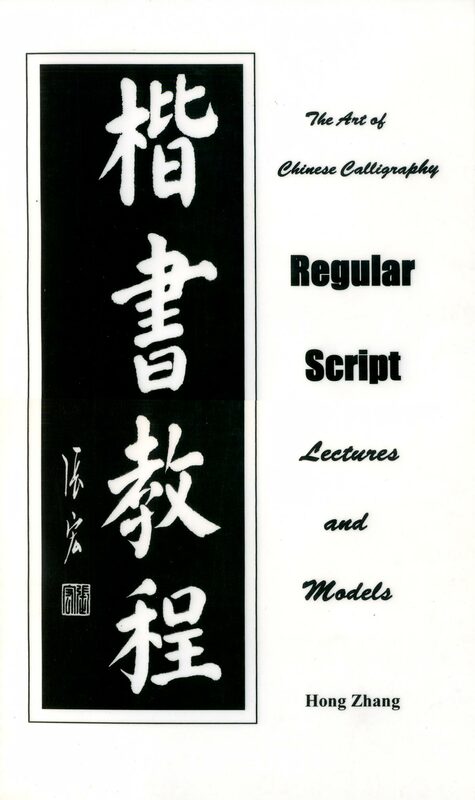 Click here to see more examples of Hong’s Running Style calligraphy. Casual Style requires the highest skill in wielding the brush, as well as an understanding of the rules to form characters. It allows more room for the calligrapher to express their own style or feelings. Here the character structure is greatly abbreviated and the strokes within a character can be linked to each other. 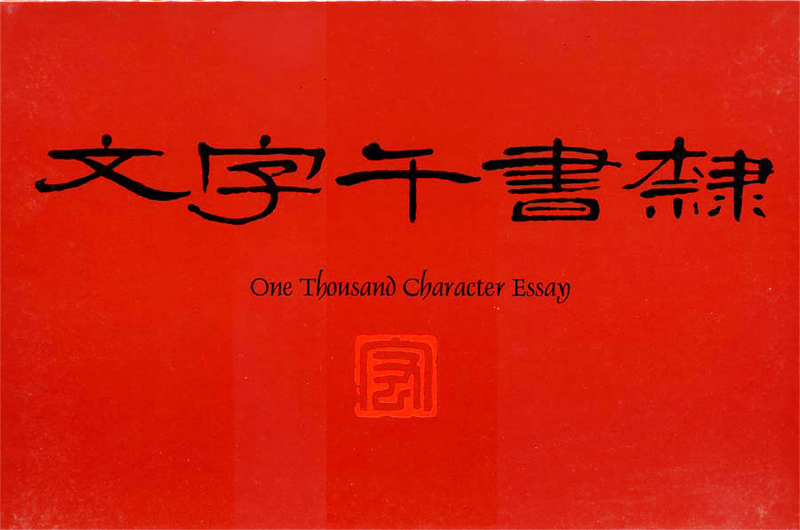 The strokes of one character can also be linked to the strokes of another character. 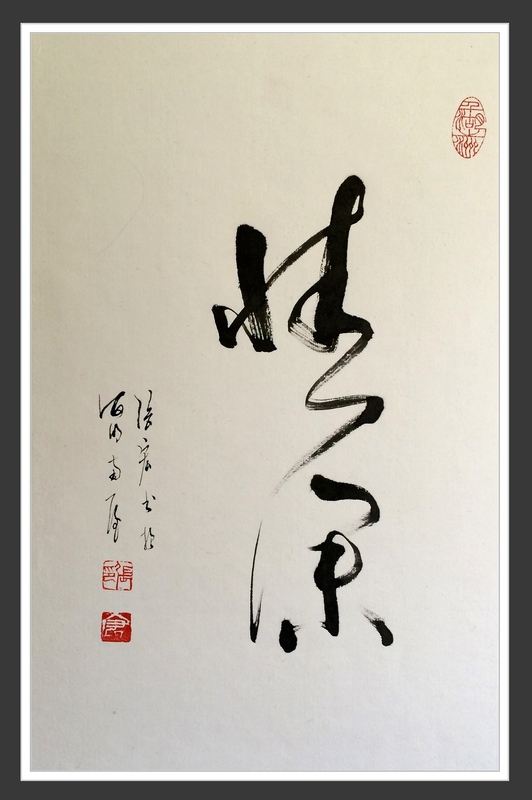 Click here to see more examples of Hong’s Casual Style calligraphy.